Take your favorite recipe and turn it into the perfect gift for grandparents or loved ones this holiday season. This is an easy DIY project I did with my 11-year-old as a gift for her grandparents (she did most of the work!). 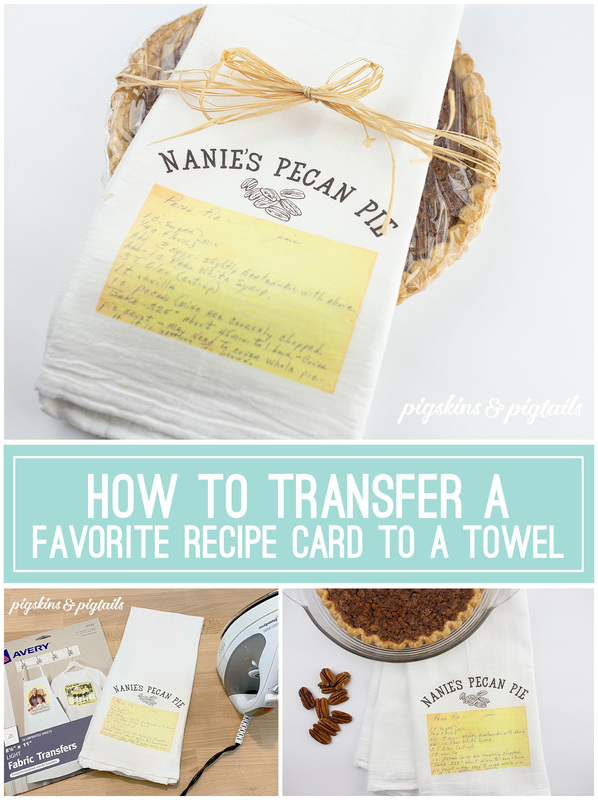 We took her great-grandmother’s hand written pecan pie recipe and transferred it to a towel. She made the pie and wrapped it with the towel. It’s really easy… print your recipe card on iron-on transfer paper and iron it to your dish towel. Here’s the video tutorial (link to supplies below).